This week’s post is a little different; however, it’s an issue that needs to be highlighted. As of June 2016, there are more than 65 million refugees! 65 million people who have been displaced from their homes, lost everything they know and hold dear. They live off monthly cash assistance from the United Nations Refugee Agency. Despite everything, these people are willing to work but the lack of freedom denies them to do so. Muna, for instance, fled Syria under gunfire in 2013 with her four children. Her husband is unwell and without the little support they receive she would not be able to survive. She like many others in her situation would like to earn money for rehabilitation. Realizing the current situation, I feel helpless. I don’t know how I can contribute or know for sure that my donation will go to the intended persons. I’m sure there are others like me who just don’t know how they can help. 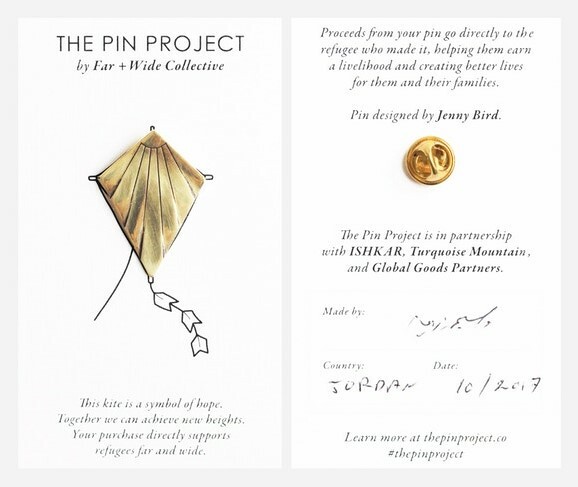 Far + Wide Collective, ISHKAR and Global Goods Partners have joined hands for a Kickstarter campaign called The Pin Project. The objective is “to help displaced persons, returnees and refugees achieve long-term self-reliance through meaningful work.” By purchasing a pin for yourself or as a gift this season you will be providing opportunities to those who have lost everything. You can back any of the 10 different pledge packages or pledge any amount of money without a reward to yourself. The idea is to focus on countries with the largest refugee population; i.e. Jordon, Turkey, Lebanon, Afghanistan and Burkina Faso. Since the campaign has doubled its goal of CA$38,000, The Pin Project can also include South Sudanese refugees in Uganda, Somali refugees in Kenya and Rohingya refugees in Bangladesh to the cause. After the pledge collection period ends on December 20th, the artisans will begin work on making the pins to be delivered in April 2018. They will be taught how to create the jewelry pins. 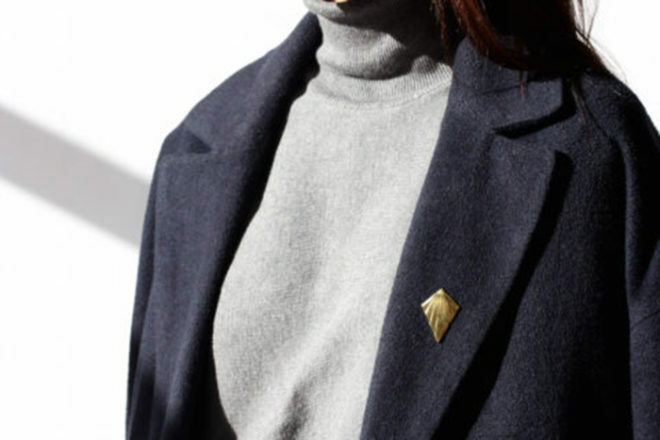 The pin design was created by Jenny Bird. A kite was chosen because it symbolizes hope, happiness and achieving new heights. For the partners involved, it signifies the soaring potential of humanity. 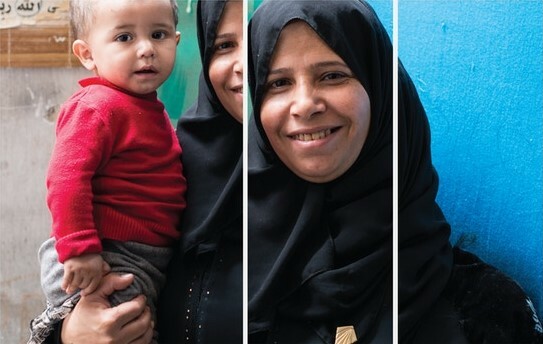 What sets The Pin Project apart from other charitable initiatives is how it allows the refugees to take control of income-earning opportunities. By buying a pin, artisans earn fair wages and learn essential crafting skills required to excel in the long-term. Even though the initial target for pledges has been met, there are still long-term goals to consider. The project would be truly beneficial if these men and women can continue making pins beyond April 2018. 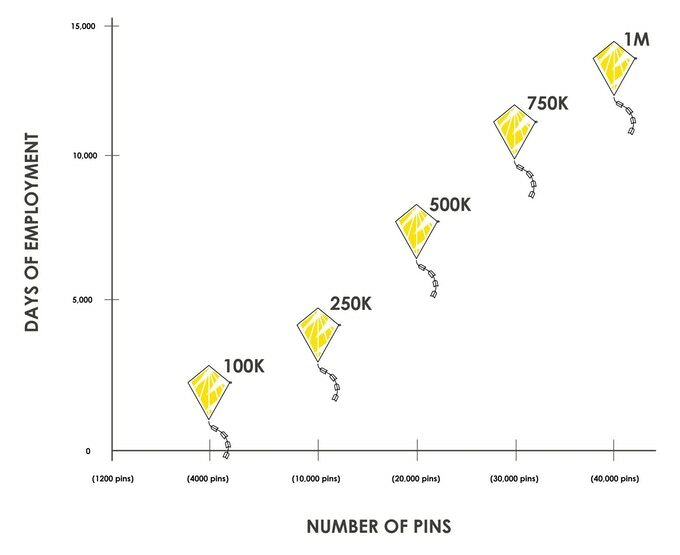 This graph shows how more pins pledged will equate to more days of employment thus, a sustainable future for the refugees. Make a difference with your gifts this season by pledging. If you do, you will receive a brass, sterling silver or 18k gold pin depending on your donation. Each pin will be signed by the maker, dated and mention where it was made. 65 million people may be a hard number to imagine, but I’m sure you can recall a video or two of the distress people have endured in war-time conditions. Do your part – pledge to The Pin Project.